EMCO Wake-On-LAN is an advanced utility that allows you to wake up multiple PC’s on a network. It is built for virtually any network of any scale. 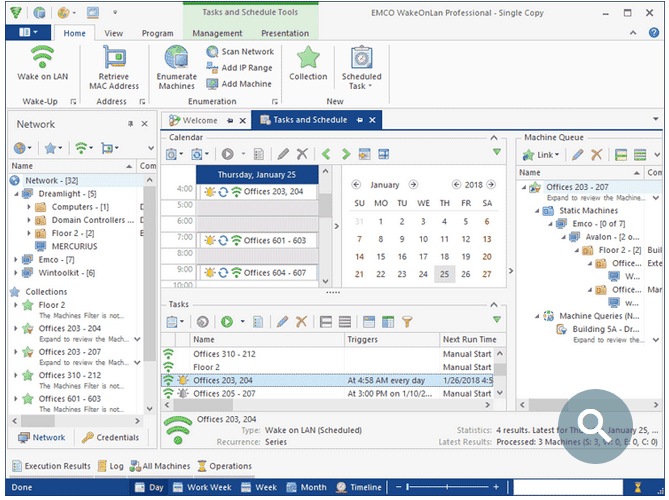 From the Free version to the Professional edition, this is a power packed WOL utility you want to add to your networking toolkit. EMCO Wake-On-Lan offers a clean, GUI Interface to help you quickly and easily wake up multiple remote PC’s simultaneously. Although the Professional edition is not 100% Free like some of the other WOL utilities out there, this is one you want to look at if you have a larger, more complex network and needs. 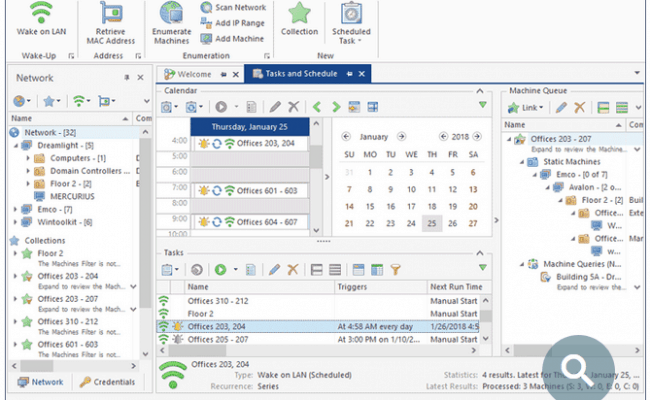 Customizable Wake-On-Lan settings: custom WOL delivery, WOL port, etc. All configurations are stored in a database. Stored information includes tasks, execution results, etc.